NAPLES, FLA. - The national law firm of Quarles & Brady LLP announced that Kenneth H. Haney, a partner in the firm's Naples office, has received the prestigious AV Preeminent® peer review rating from Martindale-Hubbell. Haney joins more than 180 Quarles & Brady attorneys who have been rated by Martindale-Hubbell. Martindale-Hubbell® Peer Review Ratings™ are designed to asses the legal ability and ethical standards of an attorney. The AV Preeminent® rating represents a determination by Haney's peers that he ranks at the highest level of professional excellence. Haney practices in the areas of product liability and personal injury litigation, construction law and litigation, commercial litigation and appellate law. His practice is principally focused on the investigation and defense of product liability claims against manufacturers and retailers. 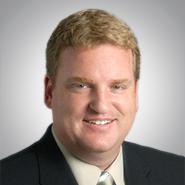 His construction litigation practice involves the representation of developers, contractors and design professionals. Haney also frequently negotiates complex construction agreements for owners and contractors. He has significant arbitration, trial and appellate experience in complex civil litigation throughout the State of Florida and represents clients across the country. Quarles & Brady LLP is a full-service law firm with more than 400 attorneys practicing from offices in Naples and Tampa; Phoenix and Tucson, Ariz.; Chicago, Ill; Madison and Milwaukee, Wis.; Washington, D.C.; and Shanghai, China. The firm provides an array of legal services to corporate and individual clients, which range from small entrepreneurial businesses to Fortune 100 companies. Additional information about the firm may be found at www.quarles.com, and on Twitter, LinkedIn and Facebook.